Azerbaijan State Academic Opera and Ballet Theater continues to familiarize Baku audience with world-famous opera and ballet starts. World-famous opera "La Boheme" by Giacomo Puccini will be staged on February 9, Day.Az reported. For the performance of the role of Rudolph, the leadership of the Opera Theater invited the soloist of La Scala Azer Rzazade. The leading soloist of the National Academic Bolshoi Opera and Ballet Theater of Belarus Vladimir Gromov will play the role of Marseille. On this day, the role of Mimi will be performed by the lead soloist of the Azerbaijan Opera and Ballet Theater, Honored Artist Afag Abbasova. The performance will also be attended by national artists of Azerbaijan Ali Askarov, Akram Poladov, honored artists of Azerbaijan Inara Babayeva, Tural Agasiyev, Aliahmad Ibrahimov. The performance will be conducted by the chief conductor and musical director of the theater, honored artist of Azerbaijan Eyyub Guliyev. 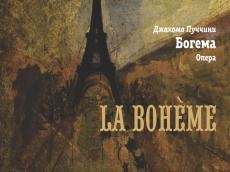 La bohème is an opera in four acts, composed by Giacomo Puccini. The libretto is based on Henri Murger's novel, Scènes de la vie de bohème, a collection of vignettes portraying young bohemians living in the Latin Quarter of Paris in the 1840s. Although usually called a novel, it has no unified plot. Like the 1849 play by Murger and Théodore Barrière, the opera's libretto focuses on the relationship between Rodolfo and Mimì, ending with her death.